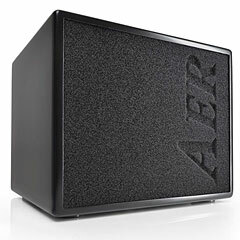 AER Compact 60 Acoustic Amp - Size does´nt matter. 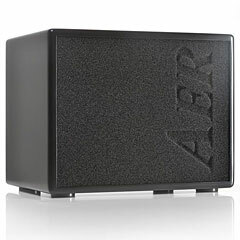 This amp was developed after the Acousticube, on which its concept is based. 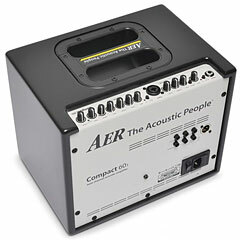 With the Compact 60 AER succeeded in leaving the "boutique-corner". They were able to prove that an all-round, small, powerful and yet simple complete solution for both stage and home use does exist which furthermore can live up to high standards. 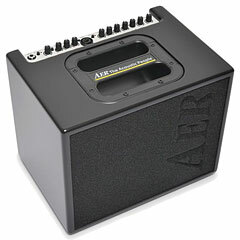 This system has an 8"-twin-cone speaker-system with 60 watts of power and fully developed dynamic control. The Compact 60 is small in size, but this powerful twin-channel acoustic guitar amplifier is specially designed to reproduce the sound quality of your instrument and your voice in a natural manner. The electronics are carefully designed to deal with piezoceramic pick-up´s, microphones and any sort of line signal. INPUTS: Channel 1: line, high/low imp. Channel 2: line, high/low imp, balanced Mic. OUTPUTS: tuner, line, DI, and effects send. SPEAKER: 8" twin cone speaker-system.